We would not blame you if you have not heard about the Vivo X1. Made by Chinese BBK Electronics, the X1 however is worth a special mention as it has now launched and become the world’s thinnest smartphone. Not just that, it comes with top notch audio quality and the quite capable Beyerdynamic MMX 71 iE earphones. All of that runs on Android 4.1 Jelly Bean, and costs a reasonable 2,500 yuan ($400) off contract. Most impressively, the Vivo X1 is the world’s thinnest smartphone measuring only 6.65mm (0.26 inches). And still, it manages to fit a 2,000mAh battery inside, and that’s quite a feat. And if you are wondering what kind of company is BBK Electronics, it is a Chinese phone maker working under different brands like Vivo, and exporting mainly to Russia. Recently, though, it has started selling under the Oppo brand for the United States as well. Diving into more details for those who want clear sound, we discover that the Vivo X1 comes with a Cirrus Logic CS4398 digital-analog converter and a CS8422 sample-rate converter for audio. The Beyerdynamic headsets that we mentioned are also just one of the options, you can pick between them and the AKG K420 and the Sennheiser CX215 headsets when you shop from BBK’s official web store. Apart from that, the Vivo X1 is not all that top notch, but not a slouch either. 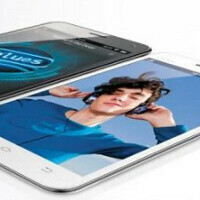 It packs a 1.2GHz dual-core Cortex A9-based MediaTek MT6577T processor and 1GB of RAM. The X1 features a 4.7-inch qHD (540 x 960-pixel) screen and an 8-megapixel camera on the back, as well as a 1.3-megapixel shooter up front. Internal storage is 16GB and there is 3G on board as well. And if the X1 was not good enough, Vivo is already teasing its next device - a 1080p phone with virtually no bezel, a huge battery and a 13-megapixel camera. Thin and no bezel, just make it more difficult to hold the phone. Never I want such a device. It do looks very nice, but using it too are more important and just how it looks. I thought they were gonna a say 2,500 USD, phew!! It's neat in its thinness and bezel size but looks like a smooshed GS3 with an iphone5-esque back. Too generic. Uh Oh... "Rounded" edges. Wait. It's China. So what's a patent? I'd but it for $250-$275 maybe. I don't know if you've seen the back of an iPhone 5 before but this phone pretty much copies its design exactly. And this company won't get in any trouble in China. China is by far the biggest copy-cat nation in history. They thrive on cheap replicas of products from other countries. Did you know Apple products, as well as the Samsung Galaxy S3 you are holding right now, is made in that country? instead of saying it copied here and there, why don't you think the other way- no china, no cheap phones = less ppl can afford. The Chinese are pretty impressive at technology considering they arent as well funded as most electronic companies...probably a lot less RnD yet we keep seeing pretty awesome stuff. Make some of these international! I'm really up for the OPPO find series! But most Chinese companies do not have to pay for patents, that makes things easier for sure. iThought that the iphone 5 is the tinnest mobile in the world? :( is apple lying? No, Apple don't lie...it's the Vivo that's lying! Apparently, no one got my joke on Apple!! That is because you forgot the ''. How you expect us to think that your joke is very ''funny''? I didn't expect it to be very funny...i just wanted it out of my system, lol! Why is it everyone non apple article has anti-apple comment? If is was not for android fanboy I would not know about apple. Every comment on Apple is about their pricing policy or the abusing of the patent system. And those are facts, not fanboy rants or mindless acusations. Then go ahead and toss Samsung in there, as well. Their pricing for flagships is pretty close, with lower build costs, and they abuse FRAND patents. I would hate to see you betray your idealism by only including one offender, since those are obviously important issues to you. China has now arrived in the phone scene for real, things are going to be really interesting and cheap. If Asus were anything like Apple that company would have been slapped with a lawsuit in about a week or so! Nice phone, but honestly who comes up with these names? "Oppo" ? really? You'd think 1.35 billion people could come up with a better name, huh? This phone looks like a Galaxy S II or a Galaxy S Advance on the front and looks like an iPhone 5 on the back..